SHENZHEN, China, Nov 30, 2016 (SEND2PRESS NEWSWIRE) — iReparo for Android announces that it is offering worldwide Android users an opportunity to win free licenses of its Android data recovery software, which is worth $49.95 for one personal license. This tool can retrieve various kinds of data from Android phone and tablet. During this one-month contest, 5 lucky winners will be picked out every day. 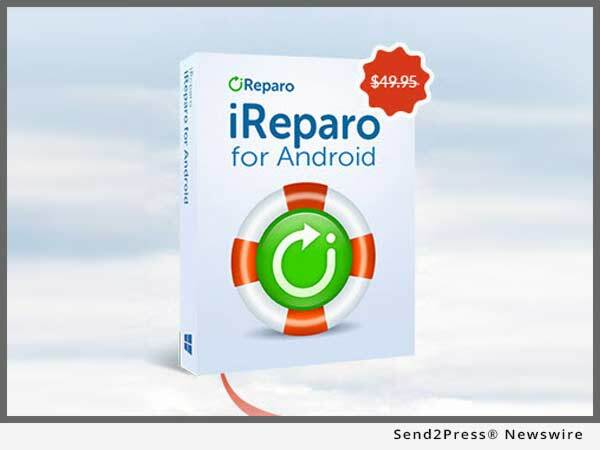 Originally released in this July, and newly updated with more features and better user experience, iReparo for Android is currently one of the best Android data recovery tools. It supports the widest recovery range, including contacts, messages, call logs, photos, audio, videos as well as documents, WhatsApp and Viber, the latter three of which are rare in similar software. In order to help users to find out the most wanted data and files accurately and quickly, it provides useful filter options for multimedia data. According to user feedbacks, this program has a high recovering rate for most mobile devices. Furthermore, iReparo for Android makes it free to preview the lost data before recovery to ensure that users will get what they want. Know more at its home page: http://www.androidrecovery.com/. Step 2. Complete the contest task step by step. Step 3. Wait for the winner announcement by the end of every day (about 12 p.m., Eastern Time). Licenses will be sent to winners by e-mail. 1. The daily winners will be displayed on the Lucky Winners List of the contest page as well as the official Facebook page of iReparo ( https://www.facebook.com/ireparosoft/ ). 2. If users find their email addresses in the winner list but have never received the license email, please check the Spam or Trash box, or directly send an email to support@androidrecovery.com. 3. Users can repeat the task next day if not selected.